The entire shrine was rebuilt after World War Two using the highest quality Japanese cypress from Kiso and in the traditional Nagarezukuri style. Construction was completed in October, 1958. 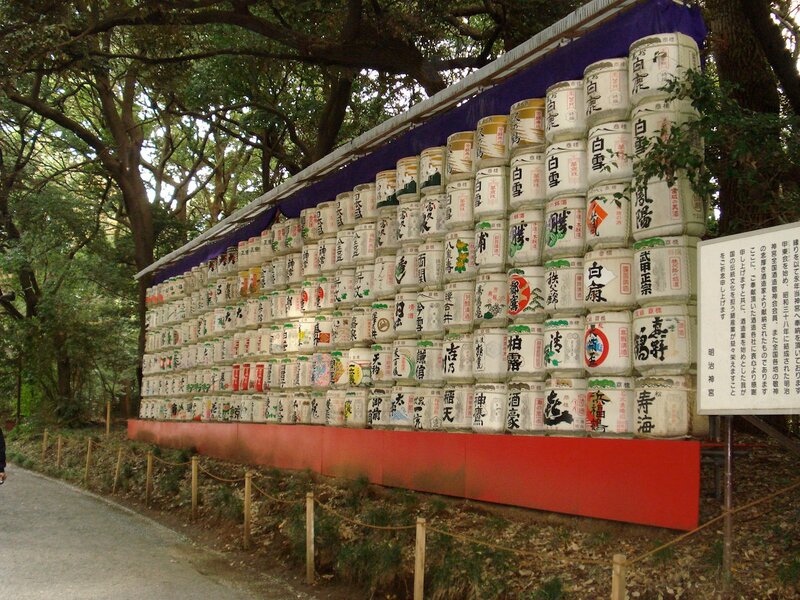 The shrine is near Harajuku and is inside a large evergreen forest (700,000 m²) that stretches north of Yoyogi Park. 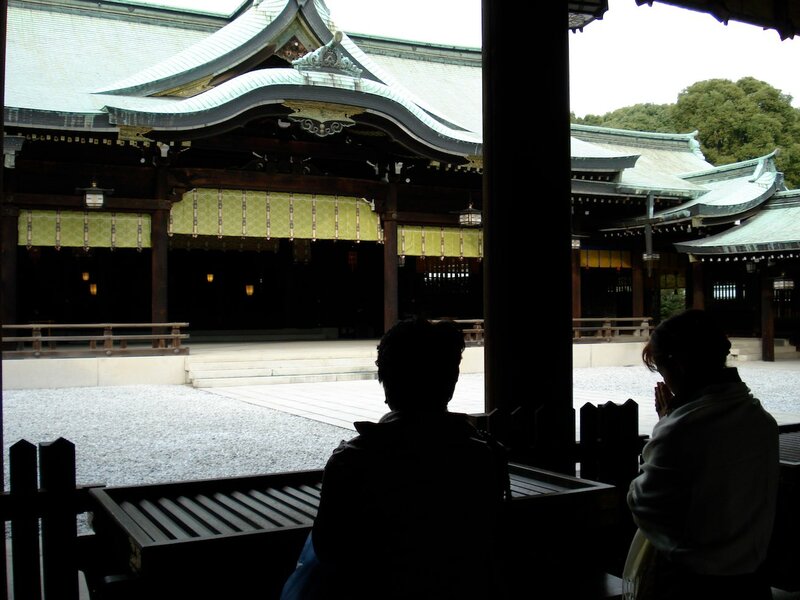 The Meiji Shrine's land was a private park that was owned by the Imperial Household. Both the Emperor and Empress enjoyed it immensely and he even wrote a poem about it. 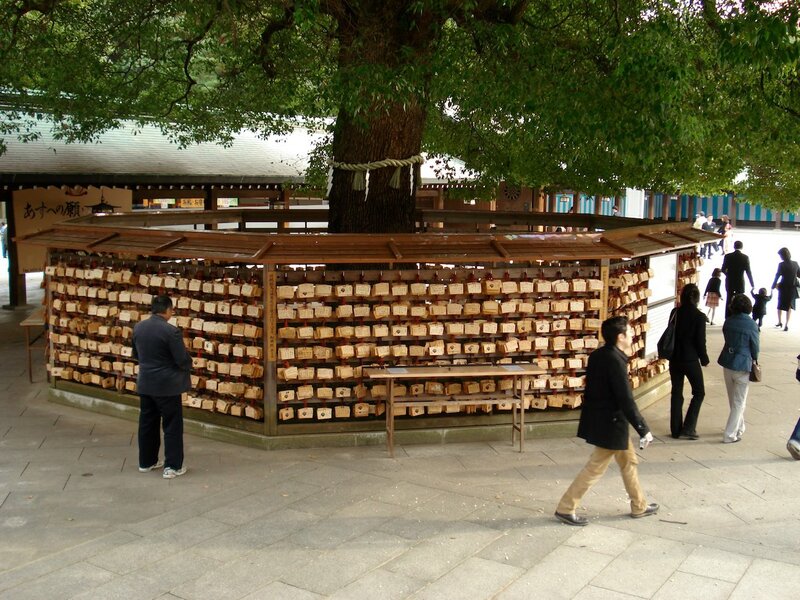 There are some 120,000 trees (365 different species) in the forest that were donated from across Japan when the shrine was built. 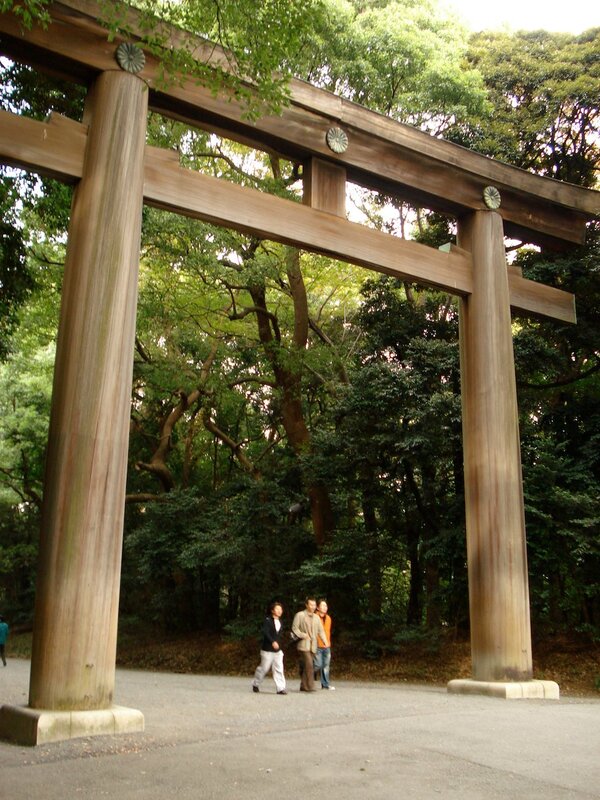 From behind Harajuku Station, towering wooden torii or gates mark the route through the forest to Meiji Shrine. 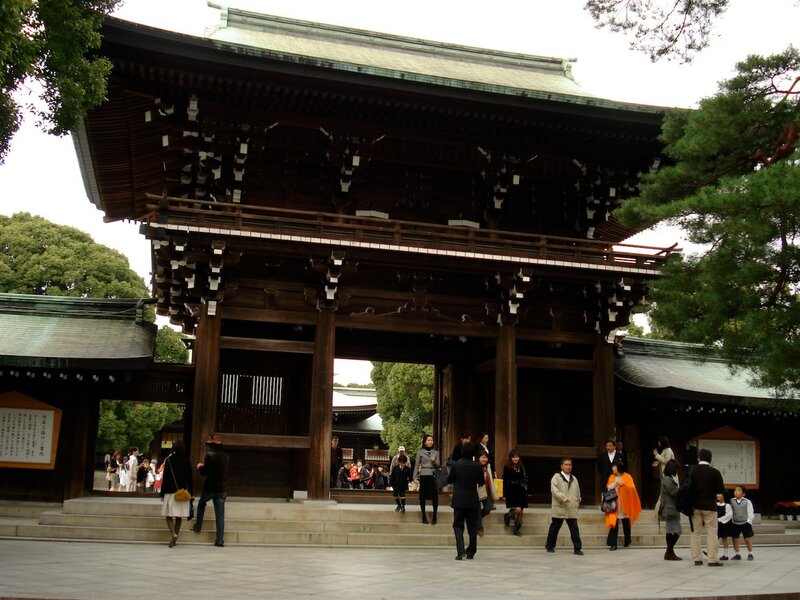 The gates are cypress like the shrine but the wood came from Taiwan. It will take about 10 minutes to walk from the station to the shrine. Behind the shrine to the north is the Treasure Museum. Articles used by the Emperor and Empress during their life as well as paintings showing them are on display. The Gyoen or inner gardens has a famous iris garden. The flower was a favorite of the Empress. 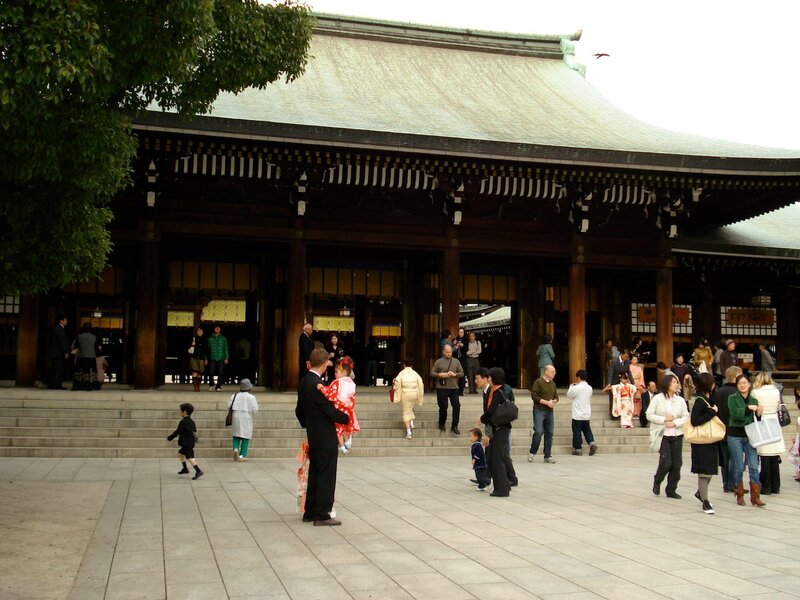 Weddings occur frequently at this temple and if you arrive at the right time then you'll be able to watch a wedding party moving through the shrine grounds. 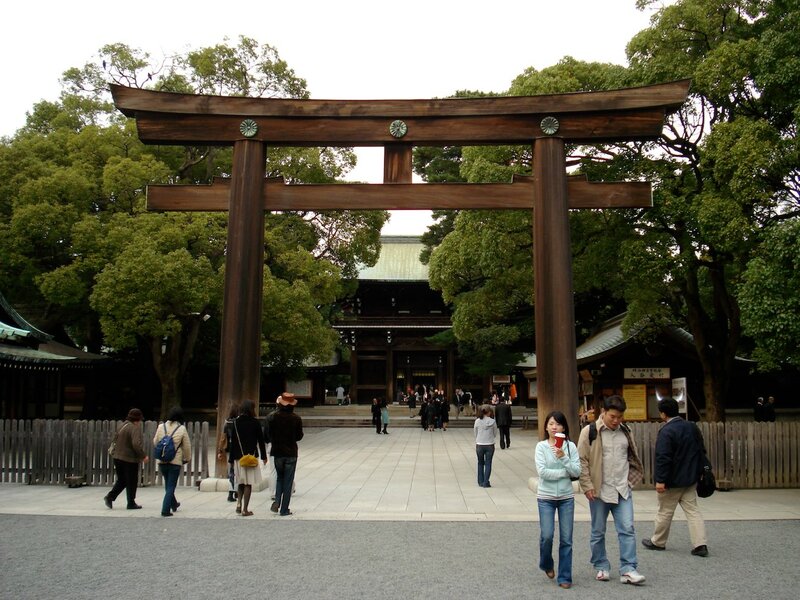 The entrance to Meiji Shrine is on the west side of Harajuku Station. The large torii (gates) are impossible to miss when you walk around the corner from the station. It is adjacent to Yoyogi park to the south, but, there are no pathways in-between as the forest that divides the two is a bird sanctuary. 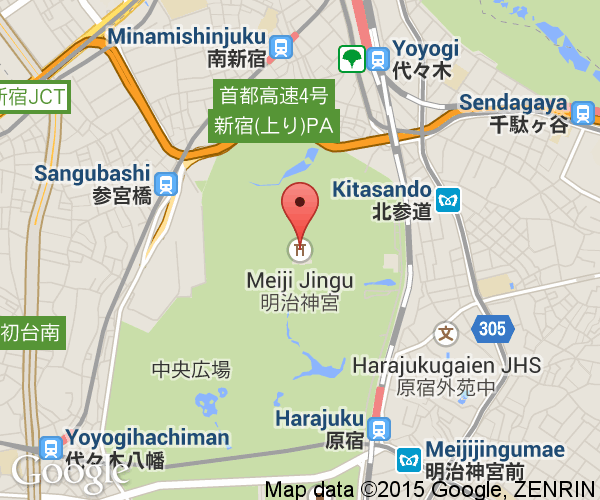 JR Harajuku Station is on the Yamanote Line which makes Meiji Shrine easy to reach from most parts of Tokyo.